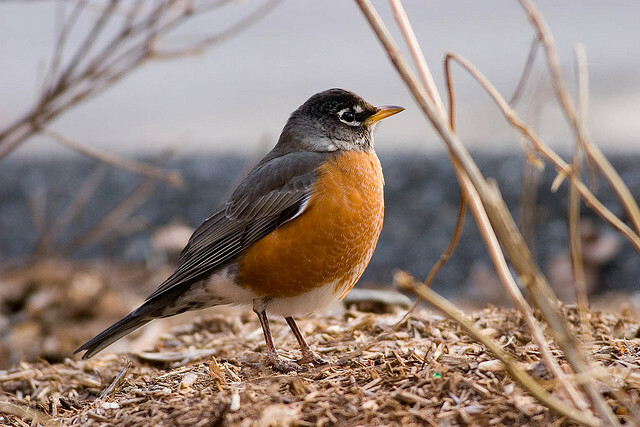 The American Robin differs from the European Robin, although they have the same name. 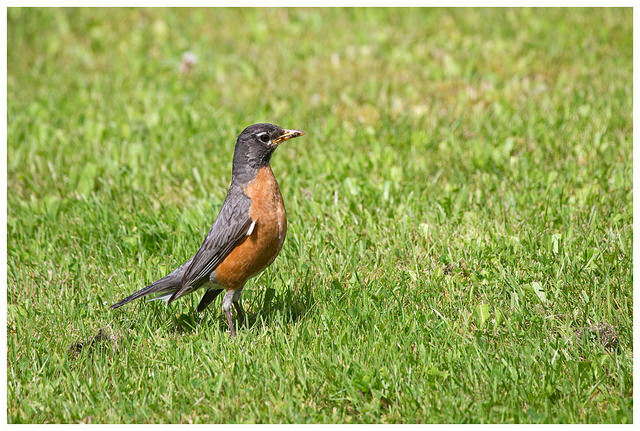 In America it belongs to the thrush-family. Striking are its red or reddish-brown chest and belly.